Congress president-elect Rahul Gandhi gave an interview to GSTV on the key issues of ongoing state elections, which was broadcasted by the channel after during the election code of conduct period on Wednesday. 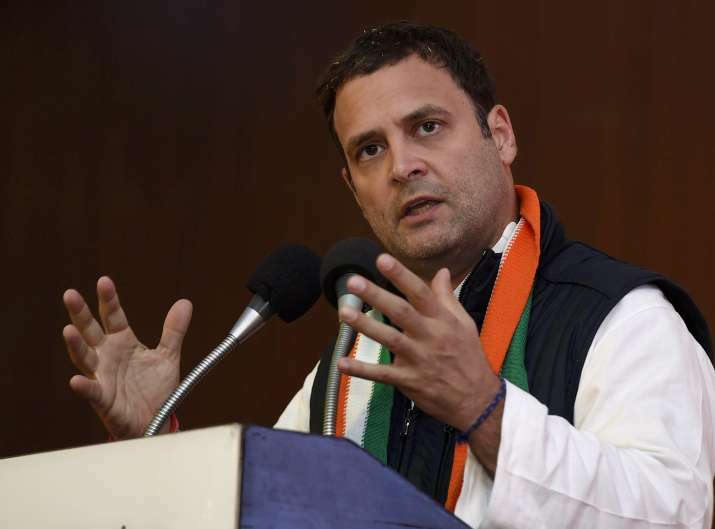 Election Commission on Wednesday directed the Chief Electoral Officer of Gujarat to initiate necessary action by filing FIR against the news channel which telecasted Rahul Gandhi's interview a day ahead of final phase of voting. "After due deliberations, have directed the Chief Electoral Officer of Gujarat to initiate necessary action by filing FIR against violators," Election Commission said. Earlier in the day, the EC had initiated an enquiry into the matter after Union Minister Piyush Goyal urged the election body to take action against the violation. "It was not permitted to give an interview in the last 48 hours of campaigning in Gujarat. I am sure the Election Commission will take cognizance of this and take an action," Goyal said in a press conference in New Delhi on Wednesday. "We have got a complaint regarding telecast of an interview. We have collected the DVDs. We will be doing due examination & look into whether it has violated Rules 126 RP Act or not," Chief Electoral Officer, Gujarat BB Swain said. Meanwhile, Congress and BJP continued their war of words, initiated during the acrid campaigning for Gujarat Polls.